“Ever since 2011 it was clear that EULEX suffered from negligence, incompetence and a general inclination not to disturb Kosovo’s politico-economic élite, which often coincides with the criminal élite”, he writes. The judicial functions of EULEX “should now be carefully reviewed, for it is there where Eulex’s structural flaws manifested themselves most clearly and most damagingly”, Capussela argues. A scandal has recently erupted, on the EU’s actions in Kosovo. It caught the attention of the European Parliament and has already led to some consequences. The press reports about it – those in the Guardian (the link is to the first in a series of three articles) and the Economist, in particular – are accurate and insightful. I shall neglect the details, therefore, and rather seek to set this episode in its broader context. The scandal centres on a large rule-of-law mission, named Eulex, deployed under the security and defence arm of the European common foreign policy. At peak, the mission employed three times as many officials as the eleven other extant EU missions combined. And it was granted unprecedented powers: besides monitoring and advising Kosovo’s judiciary and other rule-of-law authorities, it was also given the mandate to investigate, prosecute and judge all main cases of corruption and organised crime, which are pervasive in that country, and of war crimes, which were never seriously pursued. The rationale for this mandate is that in 2008 – when Kosovo became independent and Eulex was deployed – the domestic rule-of-law institutions were heavily exposed to corruption, intimidation and political interference. The new state needed deep governance reforms, for the sake of its own stability and of that of the Balkans, as well as for the sake of the internal security of the EU (which is where the drugs, weapons, prostitutes and migrants trafficked by Kosovo-based criminal groups are predominantly destined). As governance reform is hardly possible without a minimally efficient and impartial judicial system, therefore, in the most delicate sectors the administration of justice was entrusted to Eulex. Yet, as I argue in a forthcoming book, the mission is set to leave Kosovo in marginally worse conditions than it found it. If this conclusion is correct, the considerable political and financial investment that EU has made on this mission can largely be written off; as Eulex is often (correctly) characterised as the ‘flagship’ of the common security and defence policy, however, the Union’s own credibility as a global actor would also suffer. But why did the mission fail? Ever since 2011 it was clear – in my view, at least – that Eulex suffered from negligence, incompetence and a general inclination not to disturb Kosovo’s politico-economic élite, which often coincides with the criminal élite. Such problems, in turn, are rooted in three main structural defects. Weak internal accountability left incompetence unpunished and bred negligence, and the independence of the mission’s judges and prosecutors was inadequately protected: so, in particular, prosecutors and investigators had both little incentive to pursue prominent criminals or sensitive cases, and could easily be restrained when they chose to do so. Thirdly, the mission was subject to poor external oversight, from its Brussels headquarters, which allowed the management to follow opportunistic policies: hence their reluctance, during their two-year mandates, to confront the crimes of the domestic establishment, which could provoke undesirable reactions (such reluctance might have been shared by some Western governments, but I shall not discuss this aspect here). The revelations that sparked the scandal corroborate this interpretation. Their author – an English prosecutor who worked in Eulex since its deployment, and whose contract was recently discontinued – claims precisely that her superiors obstructed her own investigations. Albeit plausible, such revelations concern only a handful of cases, however, and seem selective: if the mission’s problems are systemic in nature and if, by reason of such structural flaws, the management could interfere in investigations, as she claims it did, then it presumable that also other, more important investigations were obstructed. Furthermore, her main revelation – a case of judicial corruption within the mission, which Eulex is accused of having covered-up – is not convincing. The allegation is not implausible in the abstract, for weak accountability is generally correlated with corruption, but the case she points to seems quite implausible (I would add in four years I never had any credible indication that judicial corruption was present in the mission). 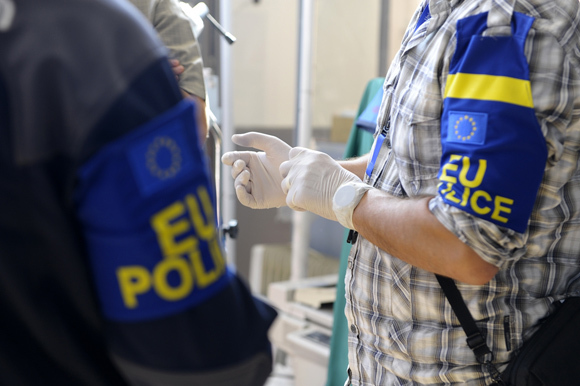 Investigating these few and sometimes marginal episodes is thus unlikely to shed much light on Eulex’s structural problems. Yet the independent investigation that the EU has now ordered, under pressure from the media and the European Parliament, targets only those episodes. A paper on Eulex’s performance – which I wrote as an evidentiary annex to my book, and which the Guardian has used for its reports – describes the grave and demonstrable errors that Eulex’s judges and prosecutors have committed in about two dozen cases. This set comprises the most politically or economically significant criminal cases that the mission has dealt with since its deployment: one, for instance, concerns a public investment that caused to Kosovo’s budget a loss equivalent to between 10 and 20 per cent of GDP, depending on the time horizon that is considered (see § 2.1 of the paper). On the basis of this empirical analysis, my book discusses the pattern that joins those judicial errors together: virtually all went to the benefit either of Kosovo’s élite, or, less frequently, of the mission itself, and none went to the benefit of non-élite defendants. This strongly suggests that the judicial function was often misused – deliberately, possibly – in sensitive cases, and calls for a deeper and broader audit than an investigation targeted on a few episodic revelations. In 2012 the European Court of Auditors reviewed Eulex’s performance of its advisory functions, and issued a critical and persuasive report. This proves that the EU – or at least its genuinely ‘European’ institutions: while it stigmatises Eulex’s shortcomings, in fact, the report notes the European Commission’s superior performance in Kosovo – is capable of scrutinising its own mistakes. But the judicial functions were excluded from the scope of the audit. This sector should now be carefully reviewed, for it is there where Eulex’s structural flaws manifested themselves most clearly and most damagingly: and the audit should cover the whole 2008–14 period. 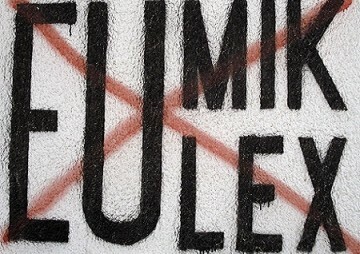 Eulex shall soon be withdrawn, as its defects seem irremediable by now. Moreover, by revealing its failures an audit could damage the reputation of the EU’s foreign policy institutions. Yet a careful review is nonetheless needed because, besides enforcing much-needed accountability, it could also identify remediable flaws in the machinery of the common foreign policy. The debate about its weakness generally focuses on the lack of a clear and coherent political direction, in fact. But although this is an undeniable constraint, it is also the largely unavoidable consequence of the eminently intergovernmental character of the common foreign policy: Eulex’s case rather shows that, once taken, important policy initiatives can too easily fail in the implementation phase; and intergovernmentalism is hardly a legitimate excuse for negligence, incompetence, opportunism. Eulex was a well-conceived idea, moreover, modelled on a sound – albeit quite novel – and far-sighted approach to state building. So it would be a pity if the EU abandoned this approach merely because the first experiment was conducted quite badly. Hence the audit might also help the EU in designing better instruments to deal with the governance problems of the next Kosovos: Ukraine and the states on the Northern and Eastern shores of the Mediterranean come to mind, for example. Favouring their transition to democracy and a well-regulated market economy responds to important European interests: if those states, when their wars and troubles shall end, will request the assistance of an exogenous actor in reforming their political and economic institutions – including by strengthening the supremacy of the law, which was the essence of Eulex’s mandate – the Union should have effective instruments to help them. One word, to conclude, on a far smaller but more easily remediable scandal. Reporters Without Borders has revealed that senior Eulex officials – the name of one is indicated, and another one can easily be identified – appear to have unwarrantedly threatened criminal investigations against the journalist who was about to report on the revelations that sparked this scandal, after having unsuccessfully tried to obtain the documents that his newspaper – one of the few and precious independent voices in Kosovo – possessed. If these allegations were true, as the authoritativeness of the source suggests, those responsible should be swiftly and exemplarily punished: pour encourager les autres, and to reaffirm the values that the EU seeks to disseminate in the Balkans and, more broadly, in its neighbourhood. If such genuinely discreditable behaviour were to be condoned, conversely, a visible crack would open in credibility of the Union’s support for media freedom in the region. Andrea Lorenzo Capussela has a PhD on competition policy and is a lawyer by training. After a few years in the private sector, he served as the head of the economics unit of Kosovo’s international supervisor, the International Civilian Office, in 2008–11, and as the adviser to Moldova’s economy minister and deputy prime minister, on behalf of the EU. His forthcoming book State-building in Kosovo: Democracy, EU Interests and US Influence in the Balkans, I.B. Tauris, London, will be presented at LSEE in early 2015. This entry was posted in Contested states, Kosovo, Law and tagged Andrea Lorenzo Capussela, Contested states, corruption, EULEX, European Commission, European Union, judges, judiciary, Kosovo, rule of law, state building, state capture. Bookmark the permalink.